125,000 PCS union members across the civil service and related public bodies are being asked to vote Yes in the national ballot on pay. The ballot, which began on 18 March, will conclude on 29 April. It is vital that the 50% turnout threshold is crossed to enable members to pressure government into scrapping the 1% cap which has caused pay misery and poverty for thousands of hard-working public sector workers. Pay demands include an immediate rise of 10% (with a £2,400 underpin) and a return to national bargaining for pay and employment conditions. Currently, there are hundreds of separate pay systems across the civil service which cause major problems for staff - notwithstanding the absolute inefficiency of hundreds of pay talks when one would do. 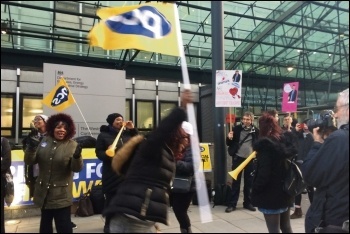 PCS Left Unity candidate for assistant general secretary, Chris Baugh, says: "It is vital that members support our pay claim with a massive Yes vote. "It is time we ended the hardship and misery caused by current and previous governments on their employees. 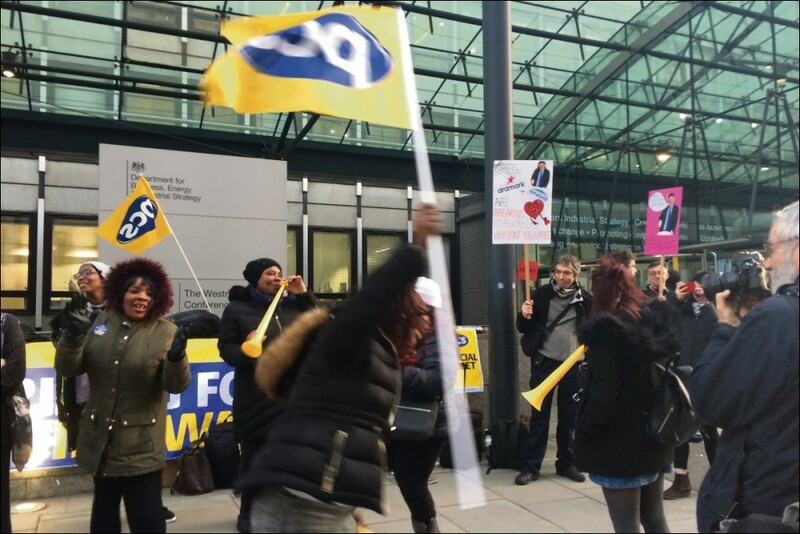 The government should be leading the way on pay, not using its own workforce as political scapegoats." Last year, 58,000 members voted to take strike action if the government tried yet again to impose a below-inflation pay cap. Despite this overwhelming support, we were prevented from taking action by the Tories' anti-union laws that require a turnout of more than 50%. Our ballot had secured a 42% turnout. The chancellor's spring statement gave no grounds for believing that pay restrictions will be removed. So again this year we are faced with the same question. Are we prepared to accept yet another year of pay cap misery? Our answer must be no. MPs have just voted themselves an over £2,000 pay rise. Why them but not us? This year we need not only a massive Yes vote for action. We need to clear the 50% turnout threshold. The union has put huge effort into preparations for the ballot. This is vital. But turning all this activity into votes will be down to the lay reps in the workplace. I believe we can and will deliver the votes we need. After a decade of austerity and pay caps, household budgets are already stretched to breaking point. Families will be put under further stress, as the Guardian reports: "A raft of price hikes over the coming weeks that in some cases will add hundreds of pounds to gas, electricity, phone, broad band, council tax and water bills." The campaign to re-elect Chris Baugh as PCS assistant general secretary and the Democracy Alliance national executive committee goes hand in hand with the campaign for a Yes vote in the strike ballot. Success in both ballots will send a powerful message to this weak and divided Tory government.